Happy D. range bring to mind the distinctive shape of the letter D – and are a real lucky strike when it comes to form, function and affordability. The Starck X series is overall comprised of 16 ceramic units, five pieces of furniture and three bathtub versions. The design is intended to be the harbinger of a new culture in the bathroom. 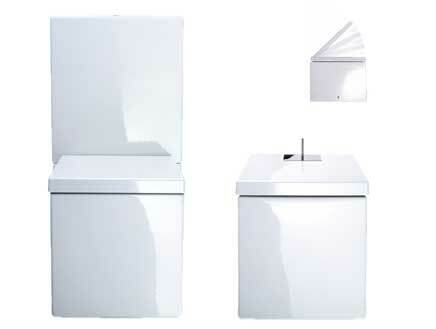 The Toca XP shower cubicle focuses on the basic geometric forms square and circle. It is custom-made with a frameless all-glass construction. The Edition range design is based on the idea that true aesthetics are holistic. 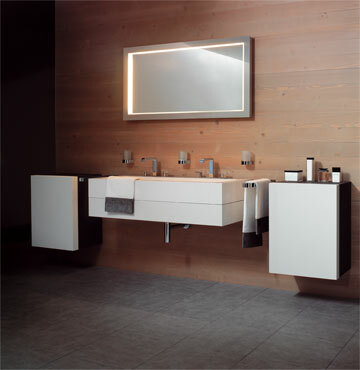 Each product is the manifestation of an underlying philosophy, which is geared to all the fundamentals of bathroom design. 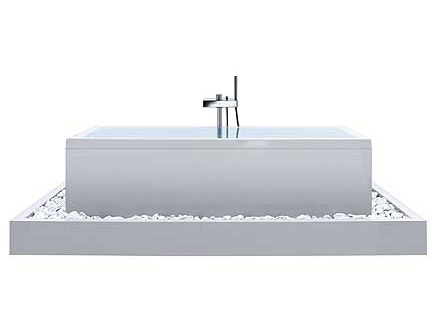 Cubist, understated and minimalist, the Starck X bath comes in two versions: the classic built-in version or the free-standing version featuring all-round water channel with stones or wooden inserts and optional individual interplays of colour. The system is an innovative solution that also opens the way into the future for the shape of the bathtub. 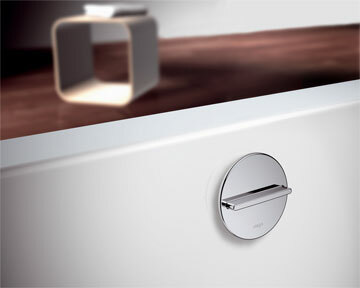 The Axor Citterio is a combination of a washstand and a bathtub. It is made of a matt shining polymer concrete.